A good career skill gap analysis is a 4-step process, which enables you to find out your skill and competency gaps and then develop a plan to close those gaps by acquiring new career skills. Doing a career skills assessment is a fundamental part of putting together your employee development plan. It helps you understand step by step what you need to do to get where you want to be. It also helps you set your career development goal and objective and to understand what new career skills and core competencies you need. Let us take a look at each of them below and understand what you need to do to maximize this process. This is the first step of your skill gap analysis process and involves doing a self-assessment. Before you start the skill gap analysis process go and gather as much information as you can about the skills and competencies that are relevant to your job, area or career. If possible, also gather information about the descriptors for each of the skills. Once you have this information, organize the skills and competencies into meaningful categories - such as leadership competencies and functional or technical competencies. Go through the descriptors and establish your present level in each of the competencies. As part of this career skill gap analysis process you will start getting an idea of where you stand within the band of increasing level of complexity for each of the competencies. Note that different companies assign different scales to their competency levels. It could be either numbers (e.g. 1 through to 5 with a higher number indicating a higher level) or categories (e.g. low, medium or high). The premise or logic behind this is that people may enter a job at an entry or minimum level and over time develop their ability to perform at a higher level. Use whatever system is in place within your company for the career skill gap analysis exercise. They are all very similar. This is the next step in your skill gap analysis process and involves generating gaps and reviewing them with your immediate manager to get their perspective and feedback. To begin generating gaps first establish your target level for each of the skill and competency areas for either your current job or the future job. Your immediate manager or the manager of the area where your future job resides should be able to help you with this exercise. The difference between your current level and the future level is your career skill gap or competency gap. Carry out this exercise for all the key competencies so you end up with a list of career skill gaps or competency gaps. 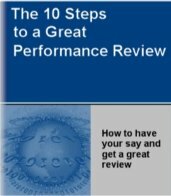 Review your self-assessment of the gaps you have generated with your immediate manager or someone similar to get their perspective and feedback. You should spend some quality time carrying out this part of the career skill gap analysis exercise. Do it with an open mind so you can receive and incorporate valuable feedback from someone like your immediate manager. They will be able to tell you if your self assessment is accurate or not. You can also use this opportunity to have a good discussion with your manager about which gaps are important to close first and some ways you can close those gaps. If you are considering a career change then this part of the skill gap analysis process is particularly important so you get a very good and realistic picture of how many gaps you have and their size. Also, if your immediate manager does not have the expertise in the area that you are thinking of moving into then it is best to conduct the career skill gap analysis exercise with someone who does have it. You could target the manager of the new area or a subject matter expert. This is an important activity so spend some time and prepare well. Once you have completed the gap analysis and received feedback on your self-assessment it is time to move on to prioritizing your career skill gaps and developing an action plan. To start this exercise list down all the gaps you have generated from the previous step. Review each gap preferably with someone like your manager to understand which ones are the most important gaps to close first. If you want to use a more structured approach then consider using a pay-off matrix similar to what was used in developing your action plan . Right click here to download a copy of the pay-off matrix template. Develop an action plan to close your gaps. Right click here to download an action plan template that you can use or further customize. Note: You will need ADOBE ACROBAT READER 5 (or higher) to download the templates. If you do not have it, please download it now. Your career gap analysis action plan should reflect the various strategies you are going to use to close your gaps. Remember, there is no one single strategy that you can use to close a gap. There are many different ways of developing yourself and you need to choose the strategy that will give you the best result. This is also another part of the career skill gap analysis exercise that you should complete in close cooperation with your immediate manager or subject matter expert. Ask them for their guidance and advice. It is also in their interest that you keep developing yourself so you become an even more valued team member. Involve them and keep them informed of your progress. The final part of your career skill gap analysis process is ongoing monitoring. This not only involves keeping an eye on how you are progressing with your action plan but also conducting periodic self-assessments to see if you have moved up in your competency levels. As you reach your target level you can cross that gap off your action plan and move on to the next area of focus. You will also be able to get a real sense of your progress as you become more proficient in your competency area through growth and development in your job. It is also worthwhile seeking feedback and input from your immediate manager on your progress. They will be able to notice if you are developing or not. If you are having difficulty in achieving your target level then you should discuss it with your manager. There may be an issue with the strategy you have selected to close your career skill gap. Review your strategies and if necessary change them. Do what best fits your needs. Finally, don't forget to celebrate your wins. Take time out to enjoy and reward yourself as you meet your goals and objectives.